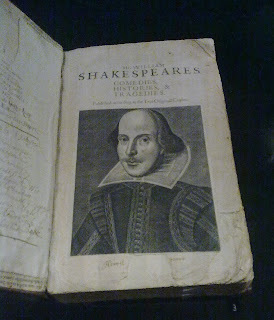 I have never held a copy of the first folio but I have seen one behind glass at the Weston Library in Oxford (part of the Bodleian). 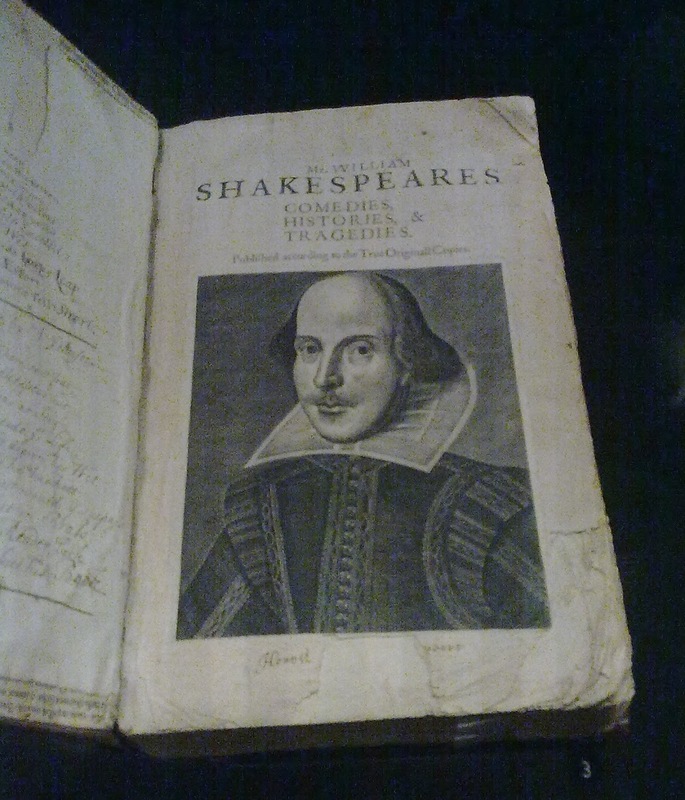 The first folio was published in 1623 and is 600 pages long. It was financed by a group of Shakespeare's friends. In her book "The making of the First Folio" (Bodleian Press 2015) Emma Smith calls them "the backers". One of these backers was Leonard Digges (the son of Thomas Digges and grandson of Leonard Digges) who wrote a fine eulogy for Shakespeare in the preface. Here shall revive, redeeme thee from thy Herse. Of his, thy wit-fraught Booke shall once invade. Nor shall I e're beleeve, or thinke thee dead. Then when thy half-Sword parlying Romans spake. But crown'd with Lawrell, live eternally." Leonard Digges even went on to write a second much longer Eulogy which was published in the 1640 edition of Shakespeare's poems which ends as follows. Will Pay to clap his praise, to free my Pen." Wise words indeed as people do still pay money to see and enjoy Shakespeare's plays being performed. Leonard Digges had obviously seen and enjoyed many of Shakespeare's plays, he had a family connection to Shakespeare's family and had the same circle of friends. Is there any evidence that he or Thomas Digges ever met Shakespeare? There is no written evidence of meeting but I think they must have met and it is easy to see how. 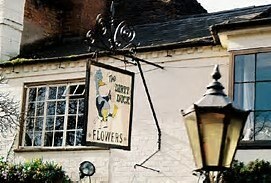 Just across the road from the Royal Shakespeare Theatre in Stratford upon Avon is a public house that used to be called the Black Swan but it is nowadays universally known as the Dirty Duck. The walls inside this pub are lined from floor to ceiling with photos of the many actors who have retired there after performances to relax with their colleagues over a drink or two. This pattern of behaviour has not changed since Shakespeare's time. If one wants to meet actors and other theatre goers simply head to the nearest public house after a performance and they will be there. It would have been relatively easy for either Thomas Digges or Leonard Digges to have met Shakespeare after, or before, a performance of one of his plays in a public house.